There is a straight line that runs from Karnataka to Kairana and on to the outcome of the 2019 Lok Sabha election. The line tells the story of how the BJP under Modi-Shah has forged ahead only because of opposition disunity, and cannot stand up to the combined onslaught of opposition unity. In other words, the BJP has never won an election; it is a fractious opposition that has lost these elections. Had the Congress and the JD(S) united before the Karnataka elections, they might together have won 150 seats. The nation would then not have had to suffer the shenanigans of horse thieves complaining that the stable has been cached away before they could get to steal the horses. Similarly, the arithmetic of the UP assembly polls last year is pregnant with significance. Although the BSP and the SP were convincingly defeated in terms of seats, had they combined their respective shares of 22% and 27% of the total vote, they would have smoothly coasted to an overwhelming victory, closing the chapter on the BJP's quite fortuitous winning streak since 2014. 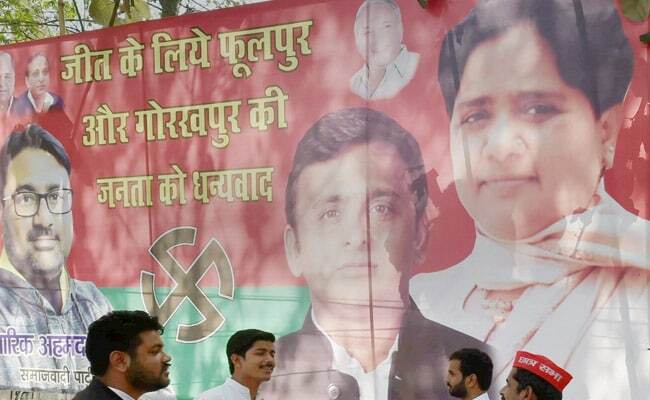 Now that Mayawati and Akhilesh have buried the hatchet and are fighting together in the Kairana Lok Sabha by-poll scheduled next week for May 28, not only is their joint candidate's victory assured, it augurs for Modi losing at least 50 of the 73 Lok Sabha seats that opposition disunity had gifted him on a platter in UP in 2014. That would spell the end of the Modi aberration and the restoration of India to the Idea of India that has guided all political parties other than the BJP and its forbearers since the Independence Movement (in which, of course, the forbearers of the BJP played no part). I was on a TV panel as the UP assembly results came pouring in. The anchor, as is the blatantly partisan mode these days, was even more excited than the BJP panelist at this outcome, screaming into the camera, "We were the first to call these elections, remember, we were the very first" - as if, somehow, it was he and his channel that had won. In the midst of this BJP triumphalism and opposition mourning, I ventured the thought that the one really significant "take-away" (a favourite expression of TV anchors) from the UP results was that the Congress should focus on defeating the BJP by championing the cause of opposition unity rather than itself attempting to win the elections. I was contradicted immediately by a senior Congress General Secretary who suddenly materialized on the screen. And when I repeated the same argument on another channel, the anchor received a text message from the head of the party's communications department saying that this was not the view of the party. Unfazed, I soldiered on - and I am delighted to find that the Congress is now clearly recognizing the two current imperatives: one, the indispensability of opposition unity to end these ghastly five years; and, two, the need for the Congress to rein in its aspirations, for opposition unity to appeal to the regional parties that constitute the bulk of the opposition. The Congress appears to have learnt the invaluable lesson that sometimes it is necessary "to stoop to conquer" (Oliver Goldsmith). That readiness to stoop to conquer has paid us rich dividends in Karnataka, where the BJP came second in terms of voter preference (36% against 38% for the Congress) but sought by mean, underhand skull-duggery to somehow twist the outcome in its favour. Happily, this failed - because the Congress stooped to conquer. Similarly, in Kairana, we have an unambiguous follow-up to the strategy of opposition unity that resulted in the spectacular defeat of the BJP candidate in the Lok Sabha by-election caused by the BJP's Gorakhpur MP, Yogi Adityanath, being anointed to the post of Chief Minister, and the BJP's MP for Phulpur being inducted as Adityanath's Deputy. In both seats, the BJP received a drubbing at the hands of a united opposition, virtually reversing the outcome of the 2014 Lok Sabha election. 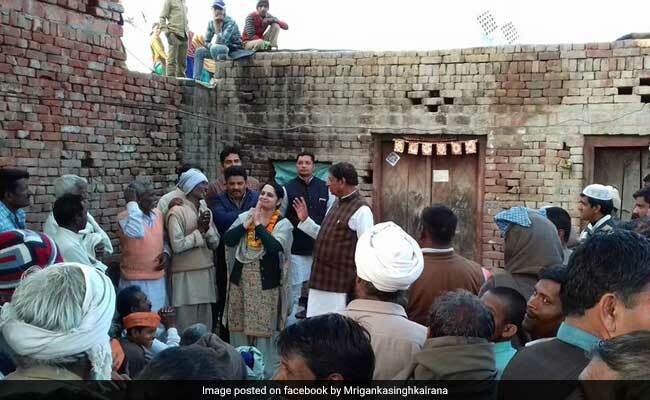 A drubbing of a similar order is waiting to be repeated in Kairana, where the BJP's late MP, Hukam Singh's daughter, Mriganka Singh, is contesting against the combined opposition candidate, Tabassum Hasan, standing on Ajit Singh's Rashtriya Lok Dal (RLD) ticket, backed by the BSP, the SP, the Congress and the Nishad Party. Faced with this formidable combine, the last desperate card being played by the BJP is bringing Modi on in neighbouring Baghpat on May 27 after the Election Commission formally closes the election campaign in Kairana the previous day. This is typical of the bypassing of due process in which the Modi-Shah duo specializes. A fat lot of good though will this do the BJP for the Kairana by-election can comfortably be called even before the polling. I am sure the combined opposition will secure well over 50% of the vote and Mriganka will lose by an even larger margin than the 2,36,828 by which her father won in 2014 - only because of opposition unity. I look forward to throwing a plate full of scrambled eggs on the face of the anchor who scorned me last year. During the Struggle for Freedom, the Congress did not see itself as a "party" so much as a movement. That is why the very word "party" does not appear in its name. It was a congress of like-minded people, united initially by the common aim of securing dignity for Indians under colonial rule and later, Independence or Poorna Swaraj for India. That is how a variety of opinion came under the Congress banyan, the only ones remaining outside its shade being the Savarkar/Golwalkar Hindutvists on the one hand and the Communists on the other. But while the communalism of Hindutava was as unacceptable to the Congress as the communalism of the All-India Muslim League, there was place within the movement for Left-leaning ideologues provided they eschewed violence and accepted the fundamental tenets of pluralism and democracy. After Independence, the Left Front has eschewed violence and accepted the fundamental tenets of a plural, secular democracy. Thus, now, in the 21st century, only the BJP remains outside this broad consensus. Their Idea of India is the anti-thesis of the India to which, even in the dreadful year of 2014, seventy percent of Indians adhered. As was bound to happen, even as the movement the Congress constituted in imperial times was transformed into a "Party" with the onset of constitutional parliamentary democracy, various strands of opinion within the movement started separating themselves from the main body of the party. Initially, this separation was programmatic, as represented by Acharya Narendra Dev and Asoka Mehta and Ram Manohar Lohia espousing a radical socialism, and Rajaji and Minoo Masani taking to the capitalist road. Over time, however, the breakaway ideological opponents of the mainstream Congress gave way to the state-based parties that today dominate the political scene. It is questions of the balance of state power versus central power that make them different to the Congress but similar in the larger vision they have of the kind of India they want. That vision radically differs from the Hindutva Idea of India and is, therefore, the cement that binds opposition unity. It is not just a question of reversing the election verdict of 2014. Elections come and go. The far more important question is of preserving the Idea of India that we as a people have nurtured for millennia against the present challenge from an alternative and dangerous vision of us, and to us, as a people and a civilization. That is the historic challenge faced by all of the opposition, severally and jointly. Many, if not all, of our state-based parties once came under the Congress banyan (remember, even Periyar began as a Congressman!) but later parted ways. That gave a kind of razor's edge to their anti-Congress-ism at a time when single-party Congress rule at the centre was the political norm. It is now over a quarter century since that phase of our political evolution ended. Till the Pachmarhi session in 1998, the Congress still believed that it was the "natural party of governance" and nursed ambitions of returning to office on its own. Then, thanks in large measure to the pragmatism of then Congress President, Sonia Gandhi, a coalition led by the Congress emerged in 2004 and lasted a full decade. When the coalition unravelled in 2014, the BJP inevitably won full power by bagging under a third of the popular vote. Bihar 2015 showed the Congress agreeing to serve under another party's chief minister. 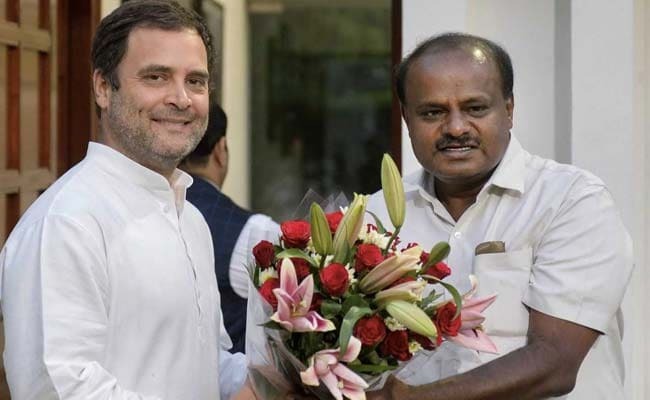 Karnataka has been the next milestone, definitively establishing that if circumstances so warrant, the Congress has the resilience to take its place on a lower rung of the ladder. That is what makes the defeat of the Hindutva forces certain whenever the next elections are held. A humble (but not humbled) Congress, in the congenial company of a broad alliance holding aloft the Idea of India, will, a year from now, stop the perverse rise of an alternative Idea of India that we have witnessed since 2014, notwithstanding the obvious truth that well over two-thirds of all Indians have never wished to have anything to do with that alternative. Therein lies the thread that links Karnataka and Kairana 2018 to India 2019. Jai Hind!